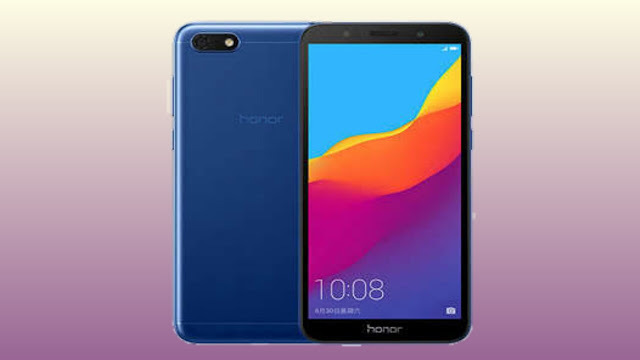 This smartphone of Honor does not feature fingerprint. In place of this security comes with the Face Unlock feature. Huawei's All-Brand Honor has just launched its new gaming smartphone in India named Honor Play shortly before. After which it is being said that the company will soon introduce a new budget Smartphone Honor 7S in India in the first week of September. According to a report in the Indian Ocean, the new Honor 7S will be launched in India in the first week of September ie that next week and its exquisite sale will be on Flipkart. Industry sources have informed that "this smartphone will have 13-megapixel primary camera and 5-megapixel front camera with selfie toning flash." For information, please inform that Honor 7S was launched in Pakistan this year. These smartphones are there with the price of PKR 14,499 i.e. approximately 8,333 rupees and with the options of Black, Blue and Gold colour. It was being said that the Honor 7S is actually re-branded Honor Play 7, which was first launched in China. Talk about the specifications of Honor 7S, it has a 5.45-inch HD Plus displays with a screen resolution of 1440 x 720 pixels and pixel density is 295ppi. This smartphone has the Entry Level MediaTek MT6739 quad-core processor. Apart from this, this device has 2GB of RAM and 16GB of internal storage, which can be extended with MicroSD card slot. Talk about the camera, it has a 13-megapixel rear camera while there is a 5-megapixel front camera for selfie and video calling. It has the facility of LED flash with front and rear both cameras. The Honor 7S smartphone runs on the Android 8.0 Orio based EMUI 8.0 user interface and has a 3020mAh battery. This smartphone of Honor does not feature fingerprint. In place of this security comes with the Face Unlock feature. Speaking of connectivity, it has Bluetooth 4.2, WiFi, GPS, dual-SIM, Micro USB port etc. The total measurement of this device is 146.5 x 70.9 x 8.3mm and weighing 142 grams. Nokia 6.1 Plus Review: Do you lose your pockets for this smartphone?